Here is a photo of a plant application. 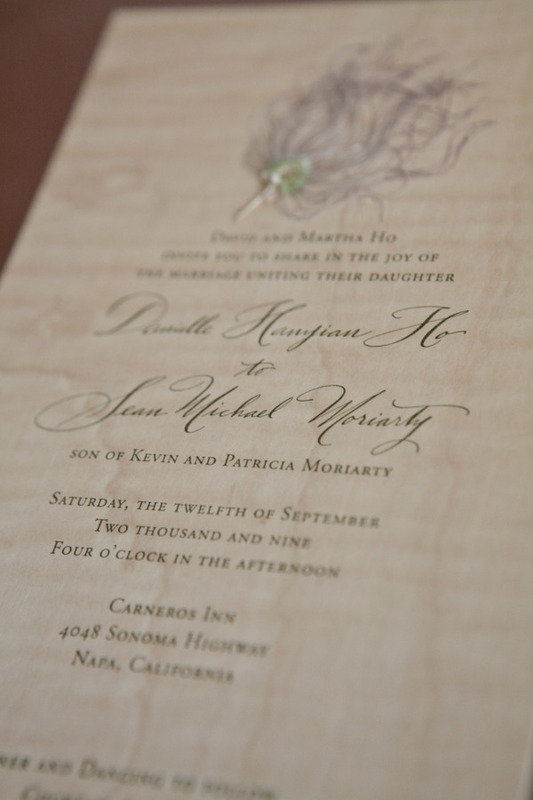 This one was adhered to wood veneer (hey, that rhymes!). I really did let the energy of this little plume guide me on all the invitations. Ok. that’s enough kook for any blog post. This entry was posted in invitations, printing, stationery, wedding invitations and tagged Jennifer Parsons, Letterpress, wedding invitations on July 31, 2010 by tinypine.